Welcome to our new and improved, mobile-friendly website! We are excited to bring you www.cfbh.bank for all your banking needs. Thank you for being a valued customer, we hope you enjoy your banking experience! Search for a bank product or service from the menu above, or use our quick links below for your Mortgage, Commercial, or Agriculture needs. We are pleased to bring you our new online mortgage resource center! Check out our Mortgage Resource Center, search for your preferred loan officer, and start the application process in your own time, at your convenience. 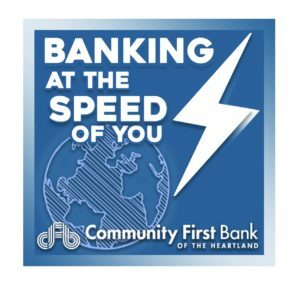 We call that... "Banking at the Speed of YOU!" Dedicated to new products and technology to better your banking experience in 2019. Feel right at home with our mortgage team- offering a caring staff, comfortable payments and local decisions. Finding the funding you need to accommodate your new or expanding business is easier than you think. Find financing that fits your needs, from a local bank that truly understands the agriculture industry.